NasserJudeh: @Shusmo Are we set? NasserJudeh: @Shusmo #QFMJO Right! Got it! Shusmo: #QFMJO @SamiaQ : How much does #US foreign policy affect Jordan’s policies? by that i mean on domestic, regional& international levels? NasserJudeh: @SamiaQ #QFMJO Jordan’s foreign policy reflects Jordan`s national interests and is affected by the variables affecting its national interest, So the direct answer to your question is that national interest drives Jordanian foreign policy. in some instances Jordan’s national interests may well converge with those of other countries. Shusmo: #QFMJO @UrdunMubdi3 : Given our challenges & mistrust in region, what needs to be the role of Diplomacy 2.0 to reshape our next decade? NasserJudeh: there is no doubt peace & stability in our region and a just solution to Arab Israeli conflict will unleash the vast potential, of this region and enable regional cooperation to bring about prosperity. this is a Jordanian national interest. Shusmo: #QFMJO @tarawnah : R there any circmstnces under which#Jordan wld yield its right 2 develop nuclear energy due 2 #Israeli &#USA pressure? 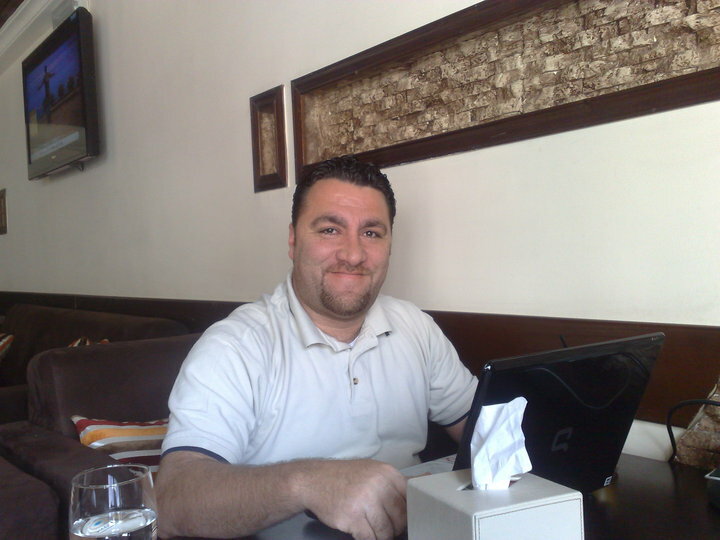 Shusmo: @Elsalameen : Why do you think Israel is sabotaging Jordan’s nuclear program? Can you name an instance of Israel doing so? Shusmo: #QFMJO @MayseNababteh : How true is it that Israel is trying to disrupt our efforts 4 nuclear energy? What r we doing 2 preserve our RIGHT? Shusmo: #QFMJO @DnJihadSoaileek : How serious is the latest media driven debate on Jordan-US nuclear disagreement? NasserJudeh: @Tarawnah #QFMJO absolutly not. jordan’s peaceful neoclear energy program is a strategic requirement 4Jordan. There is not US pressure, there is not Us pressure not to proceed with the program on the contrary there is support for this, as expressed recently by the state dep. discussions are ongoing with the US to finalize NCA similar to ones signed with others, israel may have tried to throw a spanner in the works in our discussion with other countries but this will not deter us. and our Neoclear program is proceeding on schedule. neoclear energy for jordan is not a luxury but a question of survival given our reliance on imported energy, which takes its heavy toll on our economy. All our friends appreciate this. Shusmo: #QFMJO @zsafwan :How does #Jordan view new #Turkish role in region? Will role help change rules of the game for region? NasserJudeh: #QFMJO Turkey is an important neighbour to our region and is attempting to contribute positvely to quest of peace as are many other countries around the world in the final analyses the world stands to beenefit from peace and stability in the ME I recenlty said that peacein the ME is peace of mind for the rest of the world so all positive contributions are welcome but God helps those who help themselves, and we owe this to our childern and their children. Shusmo: #QFMJO @MohannedA : Other than providing support for the anti- terror “global” effort, what leverage do we REALLY have on the world stage? Shusmo: #QFMJO @MayseNababteh : Pls clarify what our role is in the global fight against so-called #terrorism? Why r we in#Afghanistan? Shusmo: #QFMJO @tarawnah : Are there plans for Jordan to inform its public where it has sent troops & their role in the so-called “war on terror”? NasserJudeh: @MohannedA #QFMJO providing support? We are in this effort primarly to protect our own national interests and citizens. need i remind need i remind how many times we were targeted by terror and how many innocent lives we have lost? and yes in order for this to be effective it has to be in concert with the golbale network. as for leverage; experience, respect our leadership’s vision and wisdom and stature on the world stage to name but a few factors contributing to leverage. NasserJudeh: #QFMJO الاردن ليس وطنا بديلا لاحد. فلسطين هي فلسطين والاردن هو الاردن وكل من يدعي او يروج لغير ذلك هو واهم @bataleh ÷ما بالنسبة لغزة اما بالنسبة لغزة فموقف جلالة الملك المعظم الثابت هة بضرورة وحتمية رفع الحصار الجائر عن اهلنا في غزة وبوجود المستشفى الميداني. العسكري ومئات قوافل الااغاثة والمساعدات الطبية والانسانية والغذائية لغزة كنا فعليا اول من كسر الحصار قولا وفعلا. والاردن يسخر كافة علاقاته الدبلوماسية لخدمة القضايا العربية وفي جوهرها القضية الفلسطينية واهلها. Shusmo: #QFMJO @Priapus_D : Will #Jordan play a MORE active role in the solution to the #Arab #Israeli Conflict? NasserJudeh: #QFMJO please forgive spelling mistakes as i am typing very fast with two fingers but you get the general drift i hope. Shusmo: #QFMJO @Priapus_D : In this time of shifting sands how is #Jordangoing to adjust it’s international Alliances? Shusmo: #QFMJO @RaniaWreikat : Why doesn’t Foreign Ministry have a more informative Portal,with each embassy & consulate website being part of it? Shusmo: #QFMJO @RaniaWreikat : Why cant Jordanian expats vote through embassies? why do we lose this basic right? NasserJudeh: #QFMJO I really hope that one day they will be able to as it is important. NasserJudeh: #QFMJO We do have the ministry’s website in both english and Arabic, they are undergoing redesign and redevelopment. Shusmo: #QFMJO @MohannedA : How is the #Obama doctrine any different from the #Bush doctrine as it relates to #Jordan and its foreign policy? Shusmo: #QFMJO @HamzehN : Can u plz share short-to-medium term goals on ministry’s current agenda? Can u comment on obstacles u face WITHIN #JO? NasserJudeh: #QFMJO @ Building on work of pervious ministers and ensuring that diplomatic corp is eqpt, trained and supported 2 carry out it’s it’s duties in implemnting HM’s visions and policies. i always say that HM with the respect that he has around the world opens the door and creates opp. it is up to us to walk through these doors and do our work. this requires a polished diplomatic corp and attracting a new generation of young energetic jordanian men and women serving their country here and abroad, that is my dream here at the ministry. empower those who are here and attract talent into the system. Shusmo: #QFMJO @mirqab Do u agree with a governmental project to edu ppl about political parties b4 rushing to the elections? Shusmo: #QFMJO @mirqab : As proper elections require the presence of political parties ,do u think we r ready for non-tribal elections? 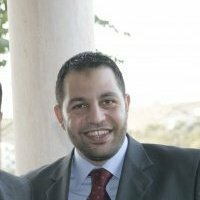 Shusmo: #QFMJO @DnJihadSoaileek : How do u view the future role of #JO diplomatic mission in bridging the gap with Jordanians abroad? NasserJudeh: #QFMJO refere to what HM & PM said recently on vision for the kind of political parliamentary representation Jordanians should aspire 2 truly reflect our country’s vision for the future, an essential component of the work of Jordanian embassies abroad is maintain channels with jordanian communities abroad we do everything in our power 2 facilitate and meet needs of Jordanians abroad and provide them wih assistance required 2 maintain links with their homeland. Shusmo: #QFMJO @tarawnah : #JO has so far failed to attract large- scale foreign investment, what needs 2b done 2 attract giants like #Google& #Nike? NasserJudeh: #QFMJO @tarawnah electricity,energy, water, telecom,DISI,aQABA, hotels, kh business park, all and much more. Hardly failure not to mention Maktoob`s recent success with Yahoo. doesnt mean we cant do more and we r trying. Tarawnah: @NasserJudeh i was actually refering more to heavy manufacturing. but thanks for taking the time to respond. good step! Shusmo: #QFMJO @MohannedA : What would it take 2 withdraw the #Jo#ambassador from #Israel? 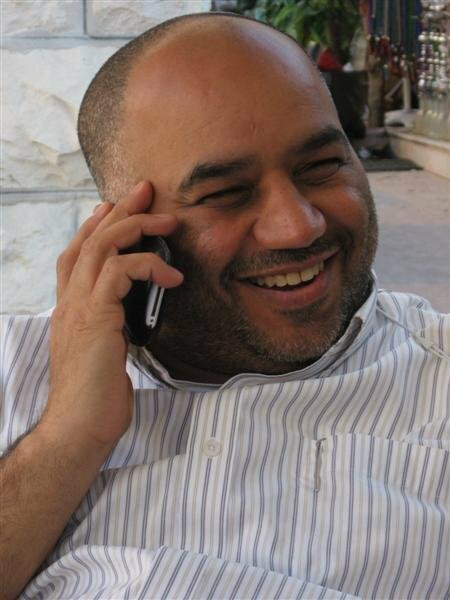 NasserJudeh: #QFMJO @MohannedA In the recent flotilla incident it was Jordanian diplomacy contacts with many, including Israel that secured release of the passengers. Like I said, Jordan’s diplomatic ties r utilised to serve the Palestinian Cause and exert pressure when necessary. NasserJudeh: #QFMJO @elsalameen Wh,y I dont know. its for them to answer. But Jordan’s nuclear prog is transparent, abides by int”l standards and checks and on more than one occasion they tried to undercut our discussions with some countries on NCA. but since we made a noise about it they are now trying to cooperate. NasserJudeh: @SamiaQ iraqis in jordan r not refugees even though they r here in large no. we share with tem wot lit we have as our guests &#QFMJO and brethrens and yes this has an added toll on our economy. we have received aid in past and cont. to seek intl help in this regard. NasserJudeh: #QFMJO and thanks to my entire team whose suppopset in always invaluable. lets do another session soon! Good Night! Social Media is 2010 has been a high tidal wave. Not very easy to understand but it sure is viral and empowering. Some are using it right and some are trying too hard. But by end of 2006 JordanPlanet shut down so I spent the next 48 hours Building JordanBlogs and I came up with new policies, we are taking all Bloggers no selection process needed. But I also created a committee from local Bloggers to help manage the Aggregator. This was my first attempt and it wasn’t easy, I later on sold it. In 2007 when I moved back to Jordan I started tweeting but didn’t find it appealing, so I stopped. Somehow back in 2008 Twitter became hot, I jumped onboard and started tweeting, Twistival was my first group meeting with Tweeps from Jordan, then we started meeting and there was a group created Jotweetup we started meeting socially and we would meet at cafes & restaurants and even went paintball shooting. We got to know each other and started networking with one another. One morning while hearing negative tweets I started a new hash tag #Top50Jo which is basically stating your top 50 things you like about Jordan, bear in mind this is not a new idea, I later learned that Naseem tarawnah has a Blog post about his top 50 things he like about Jordan back in 2005 then a radio station have their own 105 list. We had a video shooting for the event and meet so many faces behind the twitter nicks. 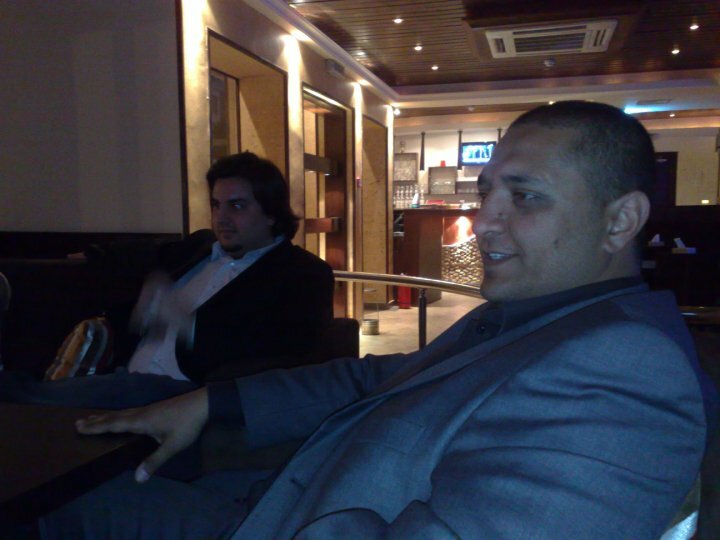 Fouad Jeryes mentioned something about Amman Tech Tuesday and Kinan also told us about Geek Fest in Dubai. So we decided to meet and discuss AmmanTT, those who were interested showed up for the meeting and those who were committed sustained those efforts and kept working towards building the new event. AmmanTT picked up pretty well and we had good content and were able to pull a good crown, it is zero budget and consists of efforts of community members like me and you. Tonight I’m having an interview with the Foreign Minister of Jordan on Twitter and will be conducting such with other government members later on. Corporates in Jordan are catching up to the power of Social media and they are joining the craze. @Aramex, @ZainJo, @Wheel_Express, @LaVilleJo, @KitchenetteJo, @NissanJordan, @Biteme-Jordan and plenty more are trying. Social Media cannot be ignored anymore. Companies should engage it internally and externally. Social Media policy should be redefined and employees should be trained on How-To utilize Social Media. Should the company outsource it? Or train its own employees to use it? Which department should adapt it? Should there be a new social media department and consulting the other different departments? Or should each department have its own Social Media person? What is the competition doing with Social Media? How can we monitor our brand mention (alerts)? How can a company merge Social Media with existing solutions? Today I’m going to talk about the preparation that goes around pre Amman Tech Tuesday (AmmanTT) event. Venue: The most important things is the venue, so we have been using Princess Sumaya University Friendship hall that holds around 200 seats, but now that we have a larger crowd we are looking for a new venue that holds 300+. Coffee Break: Then we have the Coffee break which cost around 250JD catered by Kitchennete Jo. We usually ask around for anyone who wants to sponsor it and in return they can give out mugs with logos and a roll out next to coffee break table. Theme: We meet the day after the event *post event Meeting* and decide on a topic and pick an entity to help us suggest speakers such as 7iber and Jordan open Source. Speakers: We have established a speaker selection process, first we nominate the speakers once the topic is set, then send an email to all of them asking them to send us an intro & a draft presentation we also suggest to them that we think they are good at so and so their topic can be so and so but in the end it is up to them. Once we receive their response we establish a dialogue and invite them to our next meeting which is on Mondays. Once we see them and talk to them and check out their presentation and emphasis that this is not about promoting yourself rather than talking about your experience and offering tips and stories that the community can learn from, we vote on speakers. are professional photographers who are also helping with photographing the event. Live Blogging & tweeting: We have established a live tweeting by one of our tweeting friends and everybody live tweet the event, then we also have Bloggers like myself and others who blog about it. The event is Zero Budget, all of the community coming together donating their effort, time and little gadgets to help AmmanTT becoming a class act event to the community. We are not worried about people criticizing us, we love making mistakes so we can learn from them. We welcome all suggestions and they will be taken seriously, voted on and implemented. Twitter applications can be called by different names. They are sometimes called as “twitter tools”, “twitter add-ons” and the likes. But whatever the name they are called, they are simply websites which have built-in scripts that complement Twitter. Here is a simple collection of all the Twitter applications I have encountered on the internet. Contribute more applications to keep the list growing. Twitter is a status-updating or microblogging social networking website. It is a breakthrough in social networking because it takes communication into another level. Before, a person can only update his status (eg. what he’s doing, where he is) at a certain time. But with Twitter and it’s mobile integration, he can update his status almost all throughout the day and get in touch with people that matters to him the most. But the functions of Twitter do not stop there. It is now used by various fields. Business, for example, has used Twitter to get in touch with customers on a personal level. It is also a nice place to meet people from different parts of the world that shares the same interests. Furthermore, its possibilities to promote new technology, news and products can’t be denied. Join Twitter and use these Twitter applications to spice up your tweets! Twitter have been used by companies, bloggers and agencies to promote their brand. Promote your own brand today. A search tool that tracks trends as well as certain events. A search tool that can be installed on your browser. Find out what twitter loves, hates, believes, etc. Find out the top twitter users on one place. Find out what people are talking about through certain keywords called channels. Find out the dominant keywords via a tagcloud generated. What do you get when you mix maps with Twitter? Watch as people from different parts of the world tweet. Who thought 140 character won’t make reviews? Read the conversations between two people on twitter. Find out who is following and unfollowing you. Have a mass follow and unfollow tool. If you have noisy twitter friends, you can snooze them for a certain time so you won’t receive their tweets. Receive the names of the people who unfollowed you via email. See your last 30 tweets along with your friends. Use on Mac. Display your follower count on your site or blog. plugin that will allow you to update your Twitter status right from your blog’s sidebar. a plugin that utilizes the Twitter API to automatically push a post to your Twitter account when it is first published. plug in to be notified by SMS when a user post a new comment on your blog. Not too many people have access to a Ruby-enabled server so the author decided to make a simple PHP script to get the job done. Update twitter along with other sites like Multiply, Pownce, Plurk, tumblr and others. iGoogle gadget that have ping.fm, twitter videos, twitter news, twitter tips, twitter tools and more. This module provides twitter notification for new posts. Each user can use their own twitter account to post updates too, as well as have a custom format string. A reminder tool that sends a DM on your scheduled activities. Schedule your tweets. Very useful when you are advertising. Imagine Twitter + Autoresponder. Send tweets automatically. Another question site with a nice layout so you can easily get answers to your questions. find out your twitter grade. Computed based on how complete your profile is as well as the number and influence of your followers. Find out your friend to follower ratio. These tools will help you handle those accounts at a certain time. Useful when you have a company twitter profile. Free Twitter Backgrounds. Includes @problogger’s background. free Twitter buttons you could use as well as animated ones. Answers “what are you doing?” with pictures. A huge conglomeration of Twitter user images. Share pictures, music, video and other files on Twitter. Vtwitter allows Zimbra users to send messages (or sometimes called tweets) to their Twitter account directly from their Zimbra email. Tweet what you’re listening, watching or reading regardless what player you are using. The place to be when Twitter is down. Anyone can continue tweeting in this site. Another place where you can backup your account. Find out who’s following too many people at a small span of time. Update twitter via messenger as well as advertise the tweets of your friends. An Air Application that differentiates itself from other downloadable twitter applications through its flawless drag-and-drop file uploading system. a downloadable application with all the features of twitter except that it auto refreshes. popular software that can handle multiple accounts, URL shortening, crossposting to Pownce and Jaiku, Post images on Twitpic, and search tweets using twitter search and tweetscan. Twitter for Windows that supports proxies, have a read-unread system and auto-refresh mechanism. GTwitter is a Linux client for reading and posting to twitter.com web service. Integrate Twitter with your Firefox browser. This plugin can work on Windows, Mac and Linux. You can also customize the look to fit your tastes. Twitter plugin for Firefox that have photo and video sharing capabilities. Firefox plugin that let you post more than 140 characters. Firefox addon that lets you Tweet any page you see. windows mobile twitter client written in c# leveraging the .net compact framework. send updates from your 30boxes calendar to your phone via Twitter. A tool that let you share videos via your phone. Twitteresce allows you to access your twitter feed using your mobile phone. signals you through chimes where you have to let go of your thoughts. Give you the power to roll a dice on twitter. Useful when you’re betting or playing games with your friends. Send gifts to your friends. only updating when the title being played changes, not showing popups and even a preview of what your twitter updates will look like once they are combined with your template. Twitter is a community. Post your Twitter account here. Follow and be followed. NOTE: I will not tolerate spam in this section. All links will go through me before being approved. Only post your twitter account (not your linkedin account or your myspace account or any other website). Don’t even try to put anchor text on your link for I will simply delete it. Twitter Skills and Twitter Followers… who wants some? There are thousands of excellent Twitter resources all over the internet, but until now, they were hard to find. This Twitter Marketing resource introduces you to the best Twitter tips and Twitter How tos… period. Each chapter contains several links to hand-picked blog posts that improve your Twitter skills and teach you how to get traffic with social media. This will be a living resource and will be updated as necessary. So you should probably bookmark it. Are you ready to step-up your Twitter game? Chapter 7: Does Twitter Provide Any SEO Benefits? Chapter 8: Where Else Does Twitter Apply? Chapter 9: Twitter Case Studies: What are People and Companies Doing? If you like this Twitter resource, please remember to share it with your friends by Tweeting it. Whether you are new to Twitter or new to using Twitter effectively, these 7 resources will be a huge help. This should give you a wonderful introduction to the awesome social media tool known as Twitter. Want to add a resource to this chapter? Tweet me with “Twitter Resource Chapter 1″ and provide a link. Once you know what Twitter is and how it works, these 7 resources will show you how to use Twitter the right way. You will learn what other Tweeple do and how to get your followers to click your links. Additionally, you will learn the most important type of tweet… the question. Want to add a resource to this chapter? Tweet me with “Twitter Resource Chapter 2″ and provide a link. So, you know how to use Twitter and you know how to create high-impact tweets, but no one is listening. Here are 9 resources that show you how to gain Twitter followers and how to lose Twitter followers. I highly recommend you check out how Kevin Rose increased his Twitter Followers. Want to add a resource to this chapter? Tweet me with “Twitter Resource Chapter 3″ and provide a link. Here is where several bloggers talk specifics. You will learn how to increase your RSS subscribers and Blog readers via Twitter. Additionally, you will learn why specific types of bloggers, like lifestyle and business bloggers, use Twitter and how they do it. Want to add a resource to this chapter? Tweet me with “Twitter Resource Chapter 4″ and provide a link. This is the one-stop source for all Twitter resources that relate specifically to business. You will learn how people acquire customers and grow their business using Twitter. Additionally, you will see a few examples of large companies who use Twitter effectively. Want to add a resource to this chapter? Tweet me with “Twitter Resource Chapter 5″ and provide a link. Where there are people, there will be marketers looking to market to them. Twitter has lots of people and here is how you can market to them the right way. You will learn how to go viral and how to build your brand. Want to add a resource to this chapter? Tweet me with “Twitter Resource Chapter 6″ and provide a link. With Twitter No Following all their outgoing links, are there still SEO Benefits? These 6 articles will help you learn just how it works. Want to add a resource to this chapter? Tweet me with “Twitter Resource Chapter 7″ and provide a link. So, I talked about Blogging, Marketing, SEO, and Business. Here are more ways you can use Twitter. Some highlights include, Twitter for Journalism, Twitter for Career Advancement, and Twitter for Recruiting. Want to add a resource to this chapter? Tweet me with “Twitter Resource Chapter 8″ and provide a link. This is the most important chapter. Once you learn all the tips and tricks of Twitter, here are some real world examples of how companies and people use it. If you know of more case studies, please tweet me as I would like to build this out substantially. Want to add a resource to this chapter? Tweet me with “Twitter Resource Chapter 9″ and provide a link. These Twitter Tips are just a bonus and don’t fall into any of the above categories. Want to add a resource to this chapter? Tweet me with “Bonus Chapter” and provide a link. 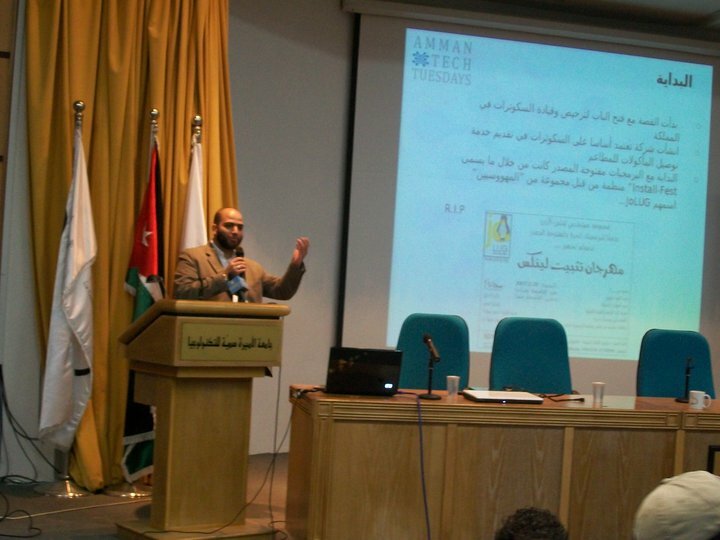 I moved to Amman Jordan back in June 2009, and as always I have some sort of online exposure. 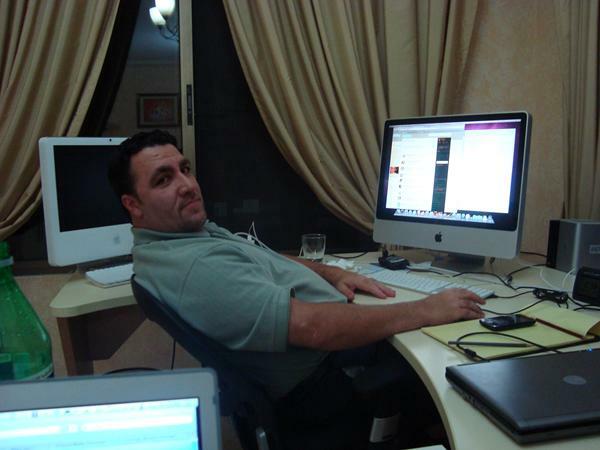 At that time the Twitter mania was getting out there specially in the Jordanian scene. We started meeting and have our own little JoTweetup meetings. I was fortunate enough to make new friends from all sectors and classes. Then few months later, I came up with a new hashtag (#Top50Jo) to list the top things we like about Jordan. Ofcourse this was one of my random thoughts, but the feedback was enormous, everybody started tweeting their most favorite thing about Jordan and we even had a video about it. A bunch of us decided to take this further and create an event for Techies in Jordan, and this is where Ammman Tech Tuesday (AmmanTT) came about. The first event had huge outcome a lot bigger than we thought, so we decided to get more organized and work harder to make the 2nd event a success, and it was very well prepared and had a good outcome. We have decided t create different themes and synergize with a sister entity, we had a good run with The Open Source Group, and the next event will be with 7iber and the theme will be about Social Media and how it is being implemented in terms of activism, marketing, commercialized and what have you. Ofcourse this event is a community based and loads and loads of people are behind the scene, like Malik Shishtawi, Mohammed Tarakiyee, Saeed Omar, Bassam Ali, Mohamad Obeidat, Izzedeen Obeidat, and many many more. We have a selection process where we meet after each event to decide on the theme and the speakers selection of the upcoming one. Once we agree on the new theme, we create a pool of speakers and take any suggestion from the website as long it is relevant to the theme. Then we contact the potential candidates and inform them of our selection process and they get to send us the topic an a presentation in 10 to 14 days. Finally the core team vote which speakers to have on. We always come up with new ideas on how to make the next event vibrant and fresh. Please do visit our website and drop us a line or two. So, I applied for a new bank account and after asking around I decided to go with bank X and went to Citymall because I know they stay open till 10 PM. So, few days later they called me to pick up my ATM card, I went to pick up my card. Me: Hello, i came to pick up my ATM card. Me: here you go and i would also check on my online access. Me: I think I have already filled this form, but I’m not sure. Me: OK, can I borrow a pen, and I filled it up and left. Ofcourse I had to use my lunch break to go to the bank and took a taxi to do so. Going back to work with a taxi I get a phone call. Banker: Mr. Khaled, you already filed for online access and it is ready for you to pickup! Me: Allah yehdeek I told you so, there is no way for me to go back now, gotta head to work. Banker: make sure you pick it up this week because it has been here for a week almost! After a couple of days I went back to the bank at Citymall branch. offices were empty so I went to the only occupied one which was the branch manager. Me: I came to pick up my online access please. Me: here you go. You know, I came few days ago to pickup my ATM card and asked about my online access but I was told to file a new form although I was quiet sure that I already done so, and I filed a new one but then later on while I was on way to work I was told it is ready for me. Manager: What? no there is a miscommunication, you didn’t understand what he was telling you!!! Me: Can i have my ID back? salam. OK, at first the baker did a bad job listening to my needs. Second, the manager instead of apologizing and offering a better services in the future he try to blame the customer! That is one bad customer service from all sides. The Banker should have stopped doing what he is doing the minute I sat down and gave me full attention to listen to my needs and understand what I’m looking for. The Manager should have apologized and not blame me for their mistake, even if I had a bad day, he should have turned this situation around with a smile and a sincere apology and a promise to do a better service in the future.